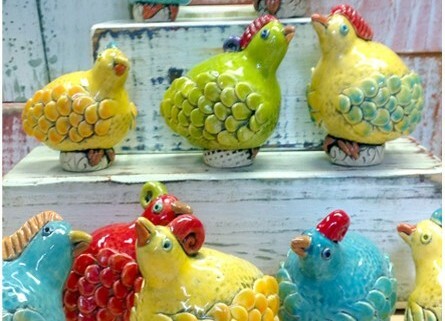 Barry Gregg is now offering pottery workshops at Little Tree Art Studios! I am a clay artist living in Decatur, Georgia. I have shown at Signature Contemporary Craft Gallery, Mudfire Gallery, The Swan Coach House Gallery, Clay West, The Atlanta College of Art, Hambidge Art Center and The Bascom. I have also exhibited nationally at The American Craft Council Shows in Baltimore and Atlanta. My work can currently be seen at the Signature Contemporary Craft Gallery in Atlanta, The Bascom in Highlands, NC, Crimson Laurel Gallery in Bakersfield, NC, Gallery Morada, Islamorada, FL and Freehand Gallery in Los Angeles, CA. I have been featured in Ceramics Guild Magazine, Decatur Living Magazine, The Atlanta/Journal Constitution, Lark Books Handbuilding Techniques, 500 Pitchers and 500 Tiles. My work was featured on the cover and in the 2009 May/June issue of Clay Times Magazine.